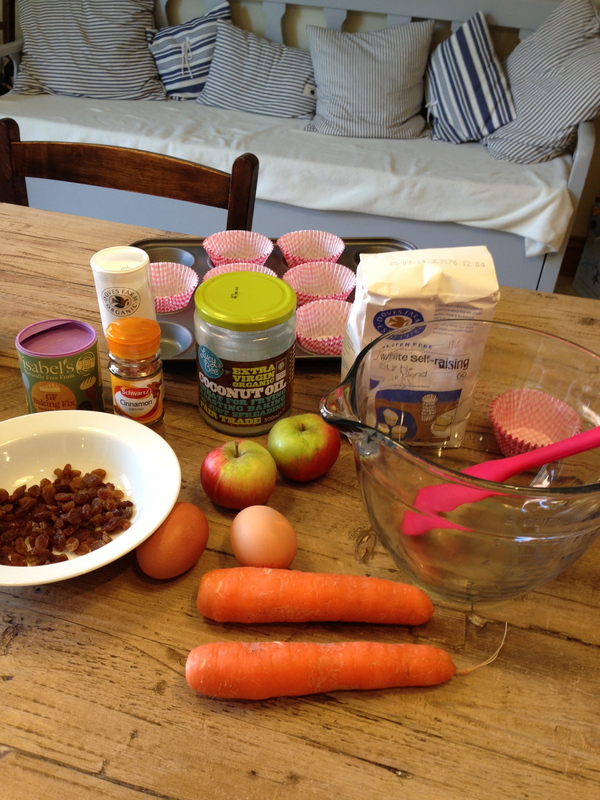 Every Tuesday I am hoping to bake something ready for the Great british bake off. 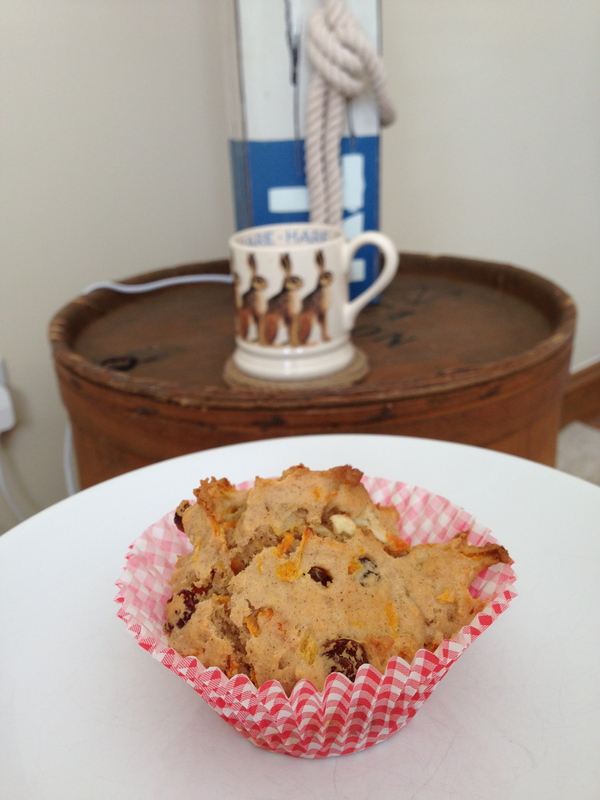 Today I decided to have a go at dietitionuk Carrot muffin recipe. Instead of sugar Priya suggests using puree apple about 75g. I think when I make them again I will add a little more. As they really are not very sweet. Maybe adding slightly more cinnamon too. First I prepared the carrots and puree apple, and pre heated the fan oven to 160c. 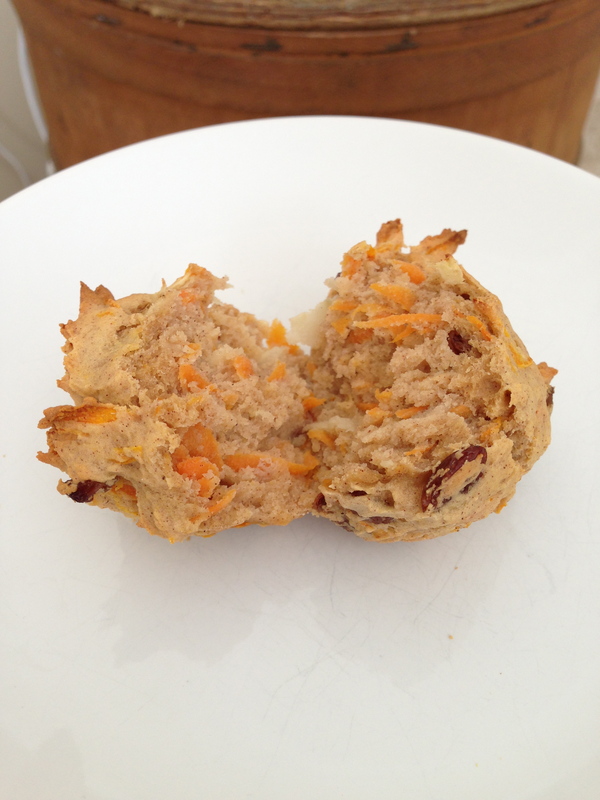 I decided to use Doves farm self raising flour rather than the combination of oat and rice flour. I mixed together the flour, cinnamon and baking powder. 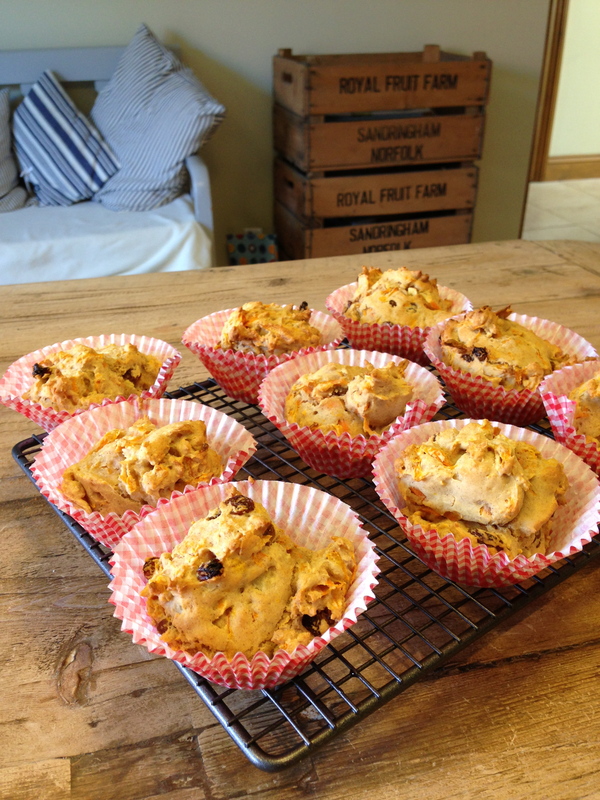 I also added a tsp of isabel’s baking fix. Then eggs, milk and Lucybeecoconut coconut oil. which I used instead of rapeseed oil. I think they would work well using a dairy free milk too. 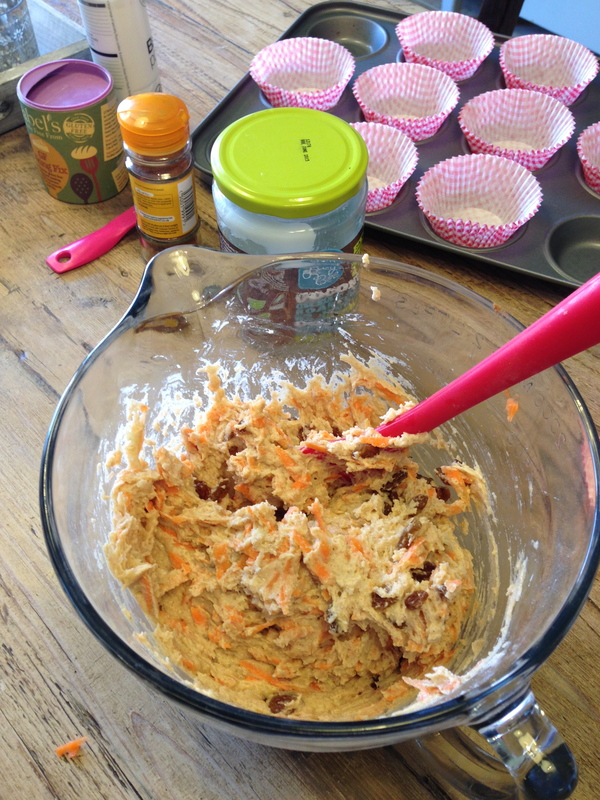 Followed by the grated carrots and apple sauce and finally the sultanas. The mixture was quite thick so next time I might add an extra egg. 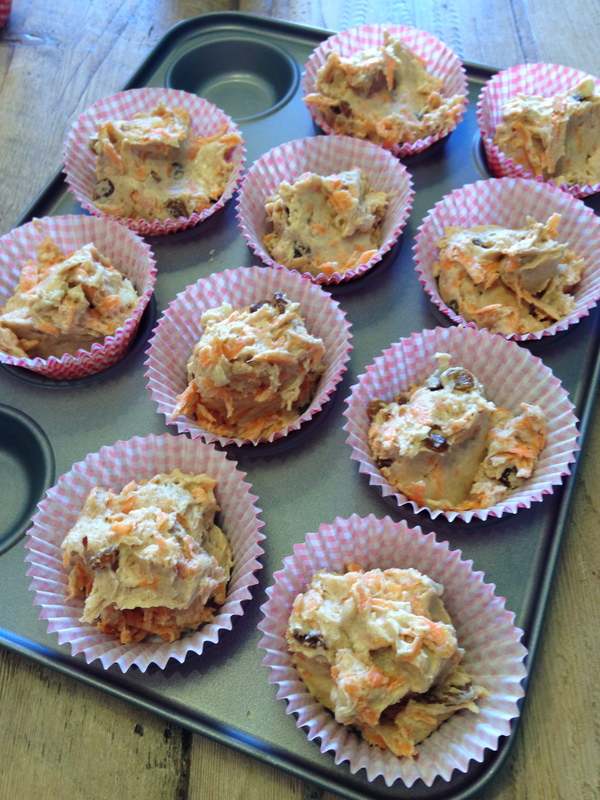 I spooned the carrot muffin mixture into muffin cases. After about 16mins they were ready to take out of the oven. I had one warm with a cup of tea. They are certainly not sweet when made without sugar, no surprise there. But if like me you are trying to restrict your sugar intake then I think as my palate changes these will taste sweeter. You can make them with sugar or possible maple syrup, honey or agave. But wanted to try out a recipe only using cinnamon and apple puree. 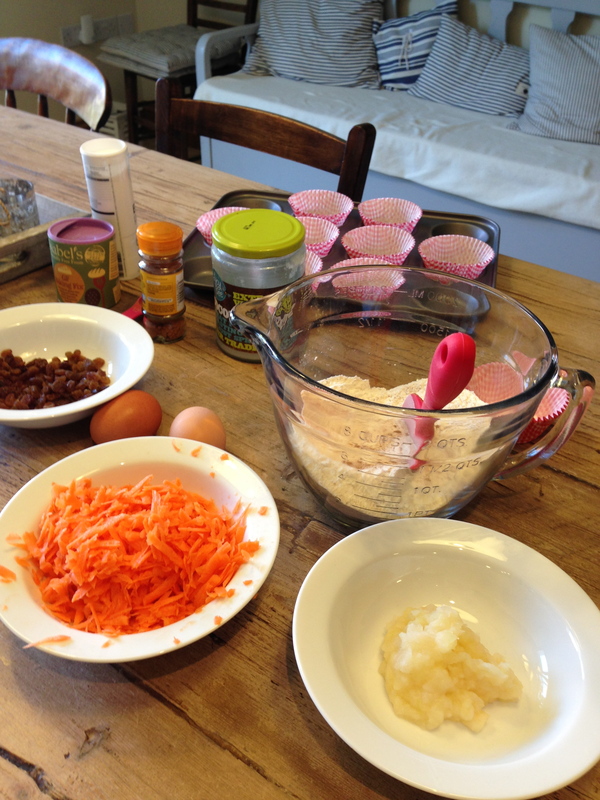 I will definitely make these Carrot muffins again, perhaps just tweaking slightly.